Dover remain winless at The Moss Rose since their return to the National League as Chris Kinnear’s men lost 1-0 to Macclesfield Town on Friday night. Former Whites striker Tyrone Marsh headed in Elliott Durrell’s cross five minutes after half-time as Athletic suffered their first away defeat of the season. The home side fashioned the first chance early on with Danny Whitaker firing straight at Walker from close range. The action then moved to the other end of the pitch. Femi Ilesanmi’s free-kick deflected narrowly wide and Kane Richards’ then saw a shot blocked by the legs of home keeper Shawn Jalal following Nortei Nortey’s pass. Nortey was once again involved on the quarter-hour mark, chasing down the ball after blocking Keith Lowe’s attempted clearance, but his final pass into the box was too weak to find a teammate. Lowe was almost left red-faced again after his backpass was missed by Jalal, however Ryan Bird was unable to react in time. Gime Toure stumbled in the Dover area with Connor Essam close by, but the referee adjudged there was no contact on the Frenchman. 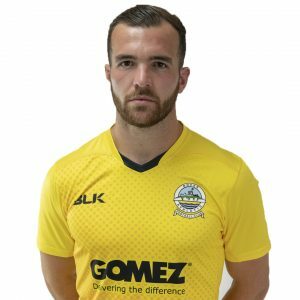 Bird’s flick-on found Josh Passley lurking at the back post, but the right-back was denied by Jalal’s stunning finger-tip save around the post. Toure spotted Ryan Lloyd’s clever run into the area, but the midfielder scooped the ball over the bar. Lowe bravely blocked Sho-Silva’s effort before half-time after the forward had been sent clear by Mitch Brundle. Marsh’s bullet header seemed to galvanise the Silkmen, with Scott Burgess curling just over from long range and away keeper Mitch Walker flinging himself across the goalmouth to prevent Durrell’s swirling free kick from going straight in. Dover’s stopper then had to be alert to palm over Toure’s firm strike after he turned Manny Parry in the box. Walker then produced a stunning save to turn sub Mitch Hancox’s twenty-yard effort past the post. 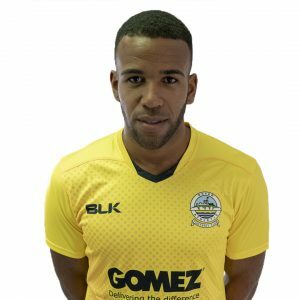 The visitor’s final chance came from Pinnock’s long throw in injury time, but the ball bounced agonisingly over Bird after Jalal’s unsuccessful attempt to claim the ball. The defeat sees Dover stay in fifth spot in the ladder, with the rest of this round of National League fixtures due on Saturday. Earlier, boss Kinnear made two changes from the home draw with Barrow on Saturday. Josh Passley returned from illness in place of Louis Fazakerley, who started as a substitute. Tobi Sho-Silva also came in for Jamie Allen, who was ruled out through injury. Aziz Deen-Contch was named on the bench after signing for the club earlier in the week. Whites next face Kent rivals Ebbsfleet United this coming Bank Holiday Monday, kick off 3pm. Walker, Passley, Essam, Parry(Deen-Conteh 68), Gallifuoco, Ilesanmi, Brundle, Nortey(Pinnock 68), Richards(Daniel 63), Bird, Sho-Silva. Subs not used: Fazakerley, Essuman. Attendance: 1270 (37 away supporters).